It’s Tuesday, so you know what that means—it’s time to talk shoes. Today’s topic? The coolest boots for fall. To enable (and honor) our love for footwear, we’ve dedicated a weekly post to highlight and share our must-have picks! Be sure to come back every Tuesday to check out the week’s featured style and shop the shoes sure to keep your wardrobe fresh and covetable. To ensure your shoe selection is ready for the new season, we’re sharing seven boots we’re eyeing right now. 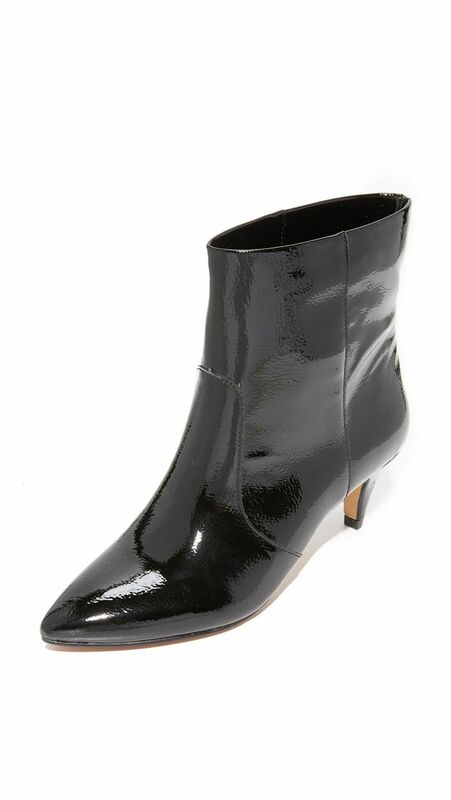 From bold patent-leather options to simple black boots you can wear season after season, keep reading to stock up on a few of our favorite boots for fall. Update your fall boot selection with seven boots on our radar right now. These boots look way more expensive than they really are. Get ready to see these all over fashion-week street style. Give your ankle boots a break, and try this fresh silhouette. How are you wearing boots this season? Show us using #WhoWhatWearing.